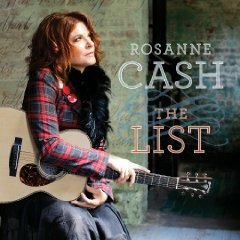 The latest effort from Roseanne Cash features tracks that her famous father considered to be among the “100 essential American songs” that he wanted Roseanne to be familiar with. Johnny Cash tackled some of these tracks himself through the years (Sea of Heartbreak, Long Black Veil) but his daughter quite capably makes these tracks her own in spite the weighty history associated to some of them. She lends her beautiful voice to sparkling renditions of Take These Chains From My Heart and Bob Dylan’s Girl From The North Country while Heartaches By The Number is a fun, upbeat moment that reminds us why Cash remains one of country music’s most underappreciated artists.